While the new Gosnell movie (release date: October 12) is a great opportunity to bring the must-be-told story of the West Philadelphia “House of Horrors” abortion clinic to the big screen, there’s a well-produced documentary that goes behind the scenes and shows you the real people involved. 1. Kermit Gosnell is not Hannibal Lecter. 2. Gosnell believes the Bible confirms he was doing the Lord’s work. 3. Gosnell is not an outlier. 4. We must learn from what happened with Gosnell. Pennsylvania Family Institute helped to lead the effort to see Pennsylvania lawmakers pass a law making abortion clinics follow the same rules and safety regulations as every other surgical facility in the state. For more on this story, click here. 5. Gosnell is not the only one at fault. Whether before or after you watch the new Gosnell movie, be sure to watch this award-winning documentary, which includes interviews with Gosnell himself. 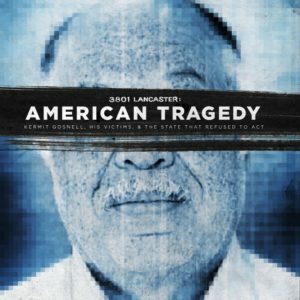 3801 Lancaster: American Tragedy is available now on Amazon (free for prime members), iTunes, YouTube, Vudu, and Google Play. For more about the documentary, go to 3801Lancaster.com.